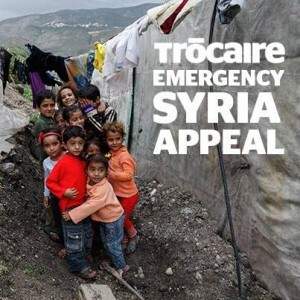 Forty-five killed in Sadad as Irish Church to hold collection in aid of Trócaire's work in Syria. Forty-five Syrian Christians have been killed and many more injured in the Syrian Christian town of Sadad. Speaking at one of the funerals, the Syrian Orthodox Metropolitan of Homs and Hama described the attack as the largest massacre of Christians in Syria, and the second largest in the Middle East, after that in the Church of Our Lady of Salvation in Iraq in 2010. Sadad was invaded by anti-Assad Islamist militias who used 1,500 families as human shields against the Syrian army which arrived to retake the town. The Archbishop who has been taking the funeral services, spoke from the heart appealing to the outside world to help suffering Syrians. “We have shouted ‘help us’ to the world but no one has listened to us. Where is the Christian conscience? Where is human consciousness? Where are my brothers?” he is reported as saying in The Tablet and Fides. More than 2,500 fled with only the clothes they stood in and further reports suggest that those unable to escape, including the elderly, disabled, women and children, were tortured and strangled. He added that schools, government and municipal buildings and the hospital have been destroyed. Sadad is a small town of 15,000 people, mostly Syriac Orthodox Christians, located 160km north of Damascus. It has 14 churches and a monastery with four priests. 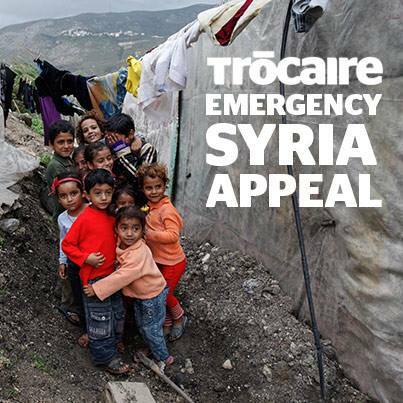 In Ireland, a special collection will be taken up this month at all churches across the country to help the humanitarian work of Trócaire in Syria. At their Autumn meeting the Irish bishops called for the collection to take place on Sunday 17 November, echoing calls from Pope Francis for peace and reconciliation to take the place of war and suffering in Syria. The bishops commended the work that Trócaire has been doing in Syria and the wider region as it struggles with the effects of the worst humanitarian crisis the world has seen in a generation. According to the charity, an estimated 4.25 million people are internally displaced in Syria, while more than 2.1 million have either registered as refugees or are waiting to register in the surrounding region. Thanks to the donations of Irish people, Trócaire has been able to provide aid to 255,855 people in the region. Trócaire is supporting Caritas partners in Lebanon, Jordan, Turkey and Syria to deliver emergency aid to people who need it most. This aid includes the distribution of food, blankets, clothes, medicine and psycho-social support to people who have been forced to abandon their homes, as well as providing education to children who have been forced out of school.